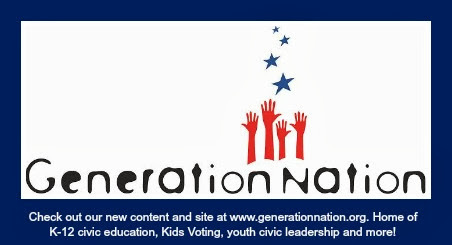 Kids Voting is recruiting volunteers to serve as Captains to lead and staff student voting booths for Election 2011. This is a great activity for students, PTAs, businesses, youth groups and others. Service hours are available. The Kids Voting election is a civic learning opportunity that gives K-12 students a chance to learn about elections and voting by casting ballots on real candidates and issues. In 2010, over 45,000 Charlotte-Mecklenburg students participated. More information is posted at http://portal.kidsvoting.org/election/election_experience.aspx. The captain will be responsible for: attending training; lining up volunteers needed to staff the site and being available to them on your voting date(s); working closely with election officials; managing the Kids Voting booth and ensuring a smooth and orderly election experience; returning ballots and supplies to Kids Voting on Election Night and providing feedback and ideas for Election 2012. A. Early Voting - earn up to 25 hours of service Manage a site on Friday October 28 11AM-5PM, Saturday October 29 10AM-1PM, Sunday October 30 1-4PM, and Saturday November 5 10AM-1PM. You can work with a co-captain, and lead a group of volunteers who will staff your voting site (usually working 2 at a time in 3 hour shifts, often fewer individual volunteers working longer shifts if they are students earning service hours). UPDATE: THESE SITES NOW HAVE CAPTAINS. THANK YOU! Note: As captain, you do not have to personally be at your site the entire time if you have volunteers working for you. Here's an example of a volunteer schedule. The captain will attend a one-hour training in mid/late October 2011 (dates will be provided after you register as a captain) for information and supplies. 5. Area of city/county where you would like to volunteer - we will work with you to identify a site. Sites are located across the community. Sign up today! This is a great time to get involved. You can earn service hours, enjoy the excitement of the election, and be first in line to participate for Election 2012. Kids Voting Mecklenburg educates K-12 students about government, civic participation and leadership through a combination of classroom activities and community learning opportunities throughout the year. Programs and resources help students in school, build civic literacy and develop young people as effective citizens and leaders.